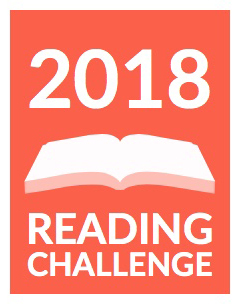 I read 116 books this year—almost all of them fiction. I know I read several non-fiction books, I can think of over a dozen right off the top of my head, but I forget to add them to my reading list. Must be a mental block of some sort. Sometimes I like Dean Koontz, sometimes I don’t. This time, I definitely liked him. 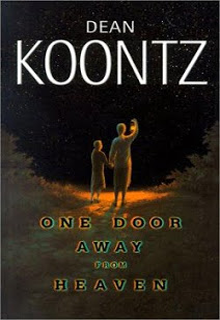 Part murder mystery, part suspense, part coming to terms with your life, part alien invasion—all mixed together with Koontz’s wonderful story telling style. I loved the way the various story lines, which started out all over the place, gradually wove themselves together. I loved the characters—unique, enchanting, captivating. A little scary, some really bad guys, but not enough to keep me awake at night. Taylor Greer is handed a Cherokee daughter whom she names Turtle. Taylor changes her entire life to raise Turtle and things are going great, until a Cherokee tribal lawyer shows up. The story winds it way through various lives until coming to an ending that determines Turtle’s future. I loved the depth of characterization and the intricate story. It may have ended a little to sweetly to be practical, but I loved it. 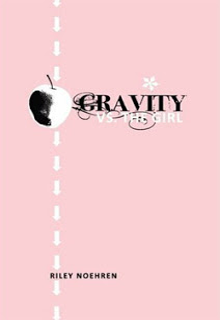 This is the story of a 13 year old girl who has been born and raised in a polygamist compound. It is the only life she’s ever known and she loves her family. But when the Prophet decides she’s to marry her uncle, she can’t accept it. This was a difficult book to read—due to some of the punishments meted out to those who don’t obey the Prophet—but it’s eloquently written and Kyra’s character is absolutely captivating. Some reviews have implied that the harshness of Kyra’s reality has been embellished for effect, but I’ve talked to people who have experienced and/or witnessed events exactly as described in this book. Rarely does a debut, self-published novel even make it to my “for consideration” reading list—but this one did. It was wonderful! And apparently I’m not the only one who thinks so. This book won a Whitney Award last year. Samantha Green has spent a year in her pajamas, battling her ghosts—former versions of herself. Her mental breakdown and road to recovery are very well written. I loved the quirky characters that are part of her life—both real and imaginary. I felt strengthened and emboldened as Samantha fills the needs of her ghosts and puts them to rest. I found myself unable to put it down, eagerly wanting to see how she solved her next challenge. I am compelled to say up front that Sheila is in my writers group. I’ve known her for years, love her, and have watched this story unfold. I don’t play favorites (as other members of my group and dear friends will tell you). Our relationship may have gotten me to read the book, but it EARNED its place on my Top 10 list. 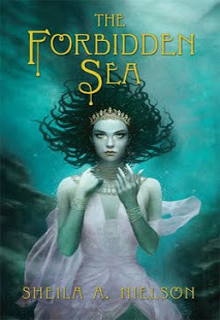 Although this YA fantasy is filled with magic and mermaids, Adrianne (age 14) is a very practical girl and this is her story of coming to terms with her life, her family, the bratty girls from town—and falling in love. A great story! I love paranormal—it’s my favorite genre. But lately, it seems they’re in a contest to be gross and foul, with too much bad language and inappropriate behaviors. Way past my comfort zone. If YOU like YA Paranormal, you’ll want to read this book. Book two in the series just came out and I can’t wait to read it! Yes, these books were getting so much hype that I had to read them. If you haven’t heard of them and don’t know the basic plot line idea, you’ve been living under a rock for the past year. Seriously. Crawl out into the light and read these books. Yes, they are dark, harsh, and heart-breaking. But they are also an intense look into character, loyalty, courage, and kindness. They are also well-written, fascinating, intriguing, and make you think. 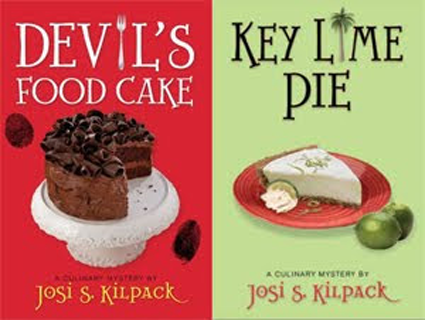 Books 3 and 4 in the Sadie Hoffmiller culinary mystery series. This series is the epitome of a cozy—and my all-time favorite culinary mystery series. Sadie is a naturally curious and kind-hearted woman. So when she stumbles across a mystery, it’s just her nature to help figure it out! If you haven’t read any of this series, start with Lemon Tart. You’ll love it! Promise. Book 2 in the John Cleaver series. This is another difficult book. Like Hunger Games, it is dark and disturbing at times. But. And this is a BIG but. It is such a great examination of character; of fighting the darkness and the evil within us, as well as the evil that often surrounds us; of making choices to be better and do better, even when part of us wants to do the wrong thing. I think it, too, should be required reading for teens. 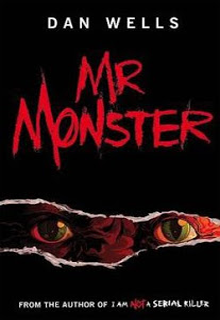 I admit, I did not like this one quite as well as the first book, I Am Not a Serial Killer, but it only pales by comparison. Obviously, I like it a lot—it’s #2 on my Top 10 list. Read it. I did mention earlier that Paranormal, particularly YA Paranormal, is my favorite genre, right? So it should be no surprise that Paranormalcy gets my #1 spot for 2010. This books has everything that I love in it: vampires, werewolves, elves, mermaids, other weird things that no one knows what they are. It’s also got an awesome main character, Evie, age 16, who is fun and funny, lively, spirited, strong, good-hearted—and yet, still a teenager who does stupid things. There is mystery, suspense, an attempted coup, and lots of other things that keep the story moving at just the right pace. And the only swearing is the word “bleep”—an inside joke that works perfectly! I cannot wait until the next book in the series is out! Clockwork Angel by Cassandra Clare. A steampunk, fantasy. It took awhile to get into it, but by the end, I was enamored. Courting Miss Lancaster by Sarah M. Eden. A regency romance that almost made my Top 10; very, very good! This is the sister to Seeking Persephone, which I read a year ago. Dead Pan (Daphne Martin Mystery #2) by Gayle Trent. A culinary mystery. This is fun and light, and everything a cozy mystery should be. Hoping this woman can write fast! Fablehaven 5: Keys to the Demon Prison by Brandon Mull. The final book in the Fablehaven series for Middle Grade fantasy readers. It was wonderful! Invisible by Lorena McCourtney This is book 1 in the Ivy Malone cozy mystery series. Ivy is an older main character, and I like that. Very good. The Limit by Kristen Landon. A Middle Grade dystopian fantasy. 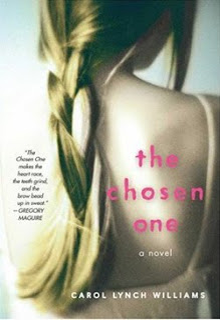 Kristen is in my writers group and her book would have made my list if I’d expanded it to 11. Servant of a Dark God by John Brown. Book 1 of an epic fantasy series. There are a lot of characters to keep track of but it’s well-written. Very good. So there you go. 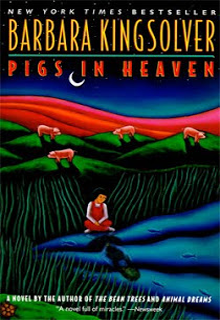 What books made your Top Ten 2010 list? I didn’t realize I was on your favorites list. Thanks!! Click image to see all the books I’ve read this year.